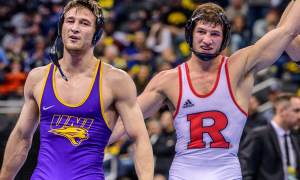 Sam Hazewinkel spent his career in some stacked weight classes featuring among others, Joe Dubuque (Indiana), Nick Simmons (Michigan State), Kyle Ott (Illinois), Coleman Scott (Oklahoma State) and Troy Nickerson (Cornell). Hazewinkel twice earned the top seed at nationals. He lost in the NCAA semi’s in each of his first three seasons before getting over the hump and making the finals, as a senior. Unfortunately once in the NCAA final, he was upset by conference foe Paul Donahoe (Nebraska) in sudden victory. Each of his three Big 12 titles featured a finals victory over a wrestler that would win an NCAA championship at some point in their careers, 2004 (Jason Powell-Nebraska), 2006 (Scott), 2007 (Donahoe). Even with All-American honors in each of his first two seasons and one loss on his resume in 2013-14, Cody Brewer was given the 13th seed at nationals. Brewer then proceeded to mow through the competition with a fall and three major decisions en route to the finals. 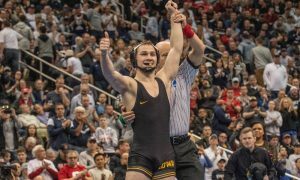 In the finals, Cody didn’t slow down winning an 11-8 decision over Cory Clark (Iowa) in a match that was more lopsided than the scoreboard would indicate. Brewer had a “go for broke” style that kept fans on the edge of their seats and made him always a threat to score. 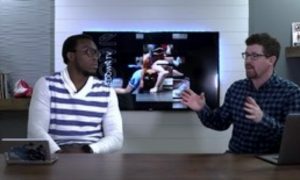 On the opposite end of the spectrum from Brewer is Teyon Ware, who was one of the most challenging wrestlers on which to score. Ware was rarely caught out of position, and if so he had the excellent quickness that allowed him to avoid dangerous situations. His first NCAA Championship came as a freshman when he was pulled out of redshirt mid-year. 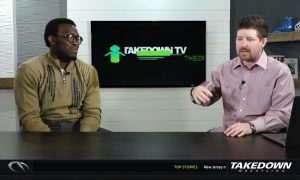 Teyon may be best remembered for his battles with conference rival Nate Gallick. His second NCAA title came at Gallick’s expense, though the Cyclone got revenge in their senior season. 141 was a tremendous weight class for the Sooners with Ware, Kendric Maple, and Michael Lightner all winning NCAA titles. Since Maple competed at 149 lbs his senior season, we’re able to fit two of the three. Kendric came onto the scene almost anonymously as a true freshman in 2009-10, qualifying for the NCAA Championships at 133 lbs. Fast forward to 2013 Maple was an undefeated NCAA Champion at 141 pounds. The Sooners have not had an All-American at this class throughout the lifespan of the current weights. Shane Vernon had to battle his way into the Oklahoma lineup and made the most out of his opportunity, as a senior. 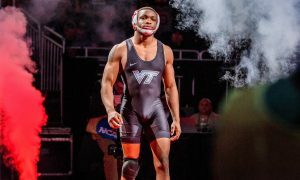 Vernon earned a 10th seed at the 2010 NCAA Championships, after a Big 12 crown, the made it through to the Round of 12 before dropping a match that went to the tiebreakers with current UFC star Justin Gaethje (Northern Colorado). 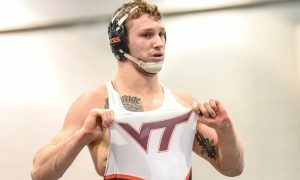 Robbie Waller spent the bulk of his career at 165 lbs, before moving up to 174 and winning an NCAA title his senior year. Waller was an NCAA Champ and two-time All-American despite never ascending to the top spot in the Big 12. In his first two seasons competing for Oklahoma, Waller finished just shy of All-American status in the Round of 12. 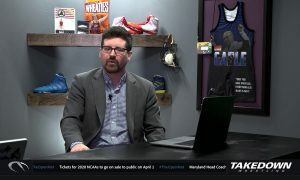 The only wrestler on the list and perhaps for any school in the feature to wrestle in the old Big Eight conference, Tucker placed third at that event and was given the 11th seed at the 1996 NCAA Championships, as a true freshman. Byron shut out Josh Koscheck (Edinboro) 3-0 in the 2000 NCAA Finals to complete an undefeated season and was the first Sooner wrestler since Mark Schultz in 1983 to finish a season unblemished. Sadly, Josh Lambrecht is probably best remembered for getting pinned in the 2002 NCAA Finals by Rob Rohn (Lehigh). 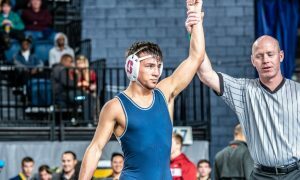 Josh put together a very impressive career, earning All-American honors in all three years wrestling in Oklahoma; he spent a year in the lineup for Chattanooga, also. 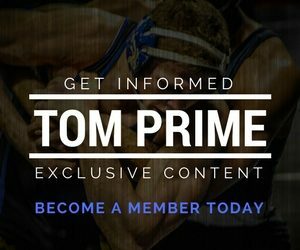 During his senior season in 2003, Lambrecht was part of a meatgrinder of a Big 12 weight class where he placed third at both the conference tourney and NCAA’s, and Jake Rosholt (Oklahoma State) and Scott Barker (Missouri) went one-two at nationals. Joel Flaggert was an All-American for the Sooners in his freshman and sophomore campaigns but was not able to get onto the podium in either of his last two years. His freshman season at NCAA’s Flaggert was unseeded and met the eventual runner-up Sean Stender (Northern Iowa) in the opening round. After losing to Stender, he battled back through the consi’s winning six matches to finish fourth. 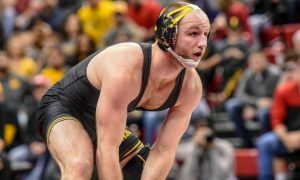 His journey back included wins over the seventh seed (Ryan Bader-Arizona State), eighth seed (Matt Delguyd-Northwestern) and 11th seed (BJ Padden-Nebraska). In addition to earning All-American honors on the mat twice, Leonce Crump also had a brief NFL career with the New Orleans Saints. During Leonce’s senior season he was third in the country losing at the NCAA Championships to two-time champion Tommy Rowlands (Ohio State). However, at that tournament, he defeated Cole Konrad (Minnesota) in the quarterfinals and again for third place. When he placed fourth in the 2001 NCAA Championships, it was the highest placement by a Sooner freshman since Roger Frizzell was fourth in 1980.